Tel Aviv is the second largest city in Israel. It's young, liberal, and completely opposite from all other cities in this country. Especially from the conservative and religious Jerusalem (the capital of Israel). People come here to enjoy the warm Mediterranean sea, beautiful beaches, non-stop nightlife, and most delicious food. In my city guide, you will find all the necessary information for planning a trip to Tel Aviv: what you should take into account before coming here, how much it costs to stay here, what places are worth visiting and much more. 1. How to find a cheap flight to Tel Aviv? The best time to visit Tel Aviv is September. This month, the weather is not too hot, the water is pleasantly warm, while the ticket price is lower than in June and July. I usually use Momondo.com to search for flight tickets. They have a ton of filters that allow to find most suitable flights and a calendar of low prices right in front of your eyes. They work with dozens of airlines and compare their prices. Plus, you can book a hotel, car and a tour on the same website. So it's totally worth starting your ticket search with checking their website. Before you start packing your bags, think of this: Israel is a country in a very complicated political situation. Here, security issues stand above comfort, politeness, and even your opinion. While Israel is a great country totally worth visiting, you should understand that going though Israeli customs might not be the most pleasant experience in your life. If you want to make it smooth, be clear and honest while answering security's questions, pack your things in a way that will allow customs workers to easily check them without making too much mess. If you are coming to visit friends and planning to stay at their place make sure to have an invitation letter from them. To get to the city center, you can take either a train or a taxi. Taxi from the Ben Gurion Airport to Tel Aviv will cost you about $43. It's about 30-40 minutes drive to the center depending on traffic. Going by train takes around 10-15 minutes and costs $2. Note that there are four train stations in Tel Aviv so find out which one is the closest to your place of staying in advance. From the station you will still need to take a bus or a cab. A day like this in Tel Aviv will cost around $250-$280 for a couple. Hotels in Tel Aviv are very expensive. Most of 3-4-star hotels offer service below average. There are a few good hostels here however. If you are traveling on a budget I recommend staying either in Abraham Hostel or in Florentine Backpackers Hostel. I also have a post on the best low-budget hotels in Tel Aviv. My friends and family stayed in those so I can vouch for them. As to which location to choose, again, it all depends on your budget. The sweet spot is definitely the front beach line. But most of it is taken by huge 5-star hotels that not everybody can afford. There are many nice, low-budget hotels on Ben Yehuda street which is quite central. Finally, the best value options can be found in Florentine - area close enough to the center (10-15 minutes walk) and yet quite cheap. While traveling on your own gives you the opportunity to dive deep into the local culture and be your own boss during the trip, there are a few tours which will provide you with an experience you wouldn't get yourself. For example, there is a food tour to the refugee district of Tel Aviv where you can try authentic Philippians, Ethiopian, and Nepal food made by people who have actually lived in those places. You wouldn't get THAT on your own! Going places like Masada or Dead Sea is also easier with an experienced tour guide and transportation provided. So here are some tour I'd recommend. You can find more of www.getyourguide.com. Why is it worth visiting Tel Aviv? Great weather from May until October, warm Mediterranean sea, amazingly tasty food, rich cultural heritage, lots of places to visit in and outside the city, vivid nightlife, easy communication. What are the prices in Tel Aviv? High! Average price of a dish in an average restaurant is $15-20, beer - $7, wine- $9, three-star hotel - $90-200, hostel- $30. However, you can save a lot if you go out during Happy Hour. The best month is September. The sea is still warm, but it's not boiling hot outside. This is also the time when music festivals start. However, September-October are the months when many Jewish holidays take place and most places are closed. Even public transport does not go. So better check the dates of the holidays in advance and avoid coming at that time. How to get to the center of Tel Aviv from the Ben Gurion Airport? The easiest (but definitely not the cheapest) is to take a cab. They work even on Sabbath and cost around $42. Trains are much cheaper and yet comfortable. You can buy a ticket at the cashier or using a ticket machine. Unfortunately, trains don't go on Sabbath that's why I do not recommend taking a flight on Fridays or Saturdays. The best option is to rent a city bike or to take a mini bus. Both are available on Sabbath. How much does a cab cost in Tel Aviv? Going in a taxi around the city usually costs around $8-$13. You can use Gett application here. Is it dangerous in Tel Aviv? Not more than in any other big city. Yes, war and terrorist attacks happen here from time to time. But nowadays you won't avoid them neither in the US, nor in Europe. If you avoid certain districts in South Tel Aviv the chances that something will happen to you here are close to zero. 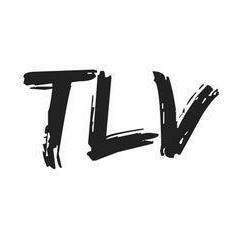 What food should I try in Tel Aviv? Hummus, shakshuka, sabich, falafel, local beers and wine. Sabbath is the day of week when Jewish people are prohibited from working, so basically it's the local weekend. It starts with the sunset on Friday and finishes with the sunset on Saturday. During Sabbat, most shops and restaurants are closed and the public transport doesn't go (except for mini buses). However, in Tel Aviv it is not as strict as in Jerusalem and other religious cities, so you'll still be able to go out and have fun.